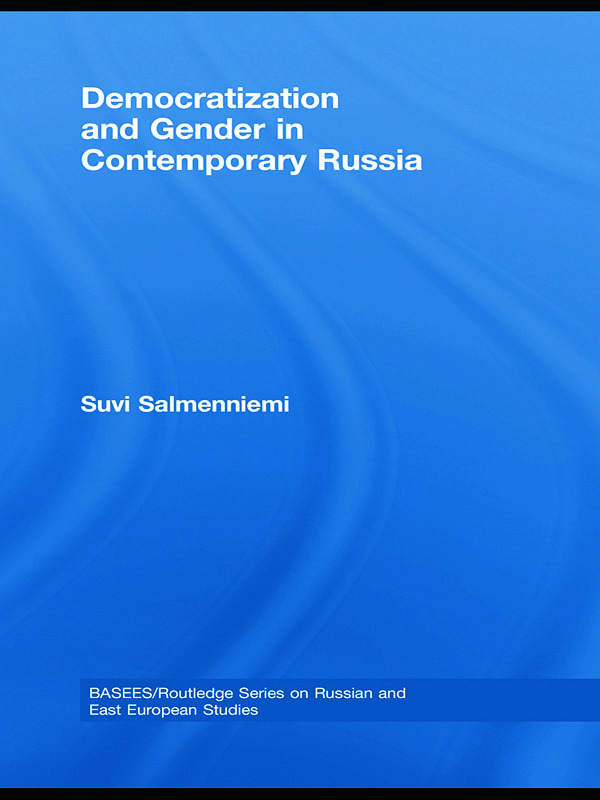 This book examines civic activism, democratization and gender in contemporary Russian society. It describes the character and central organizing principles of Russian democratic civic life, considering how it has developed since the Soviet period, and analyzing the goals and identities of important civic groups - including trade unions - and the meanings they have acquired in the context of wider Russian society. In particular, Suvi Salmenniemi investigates the gender dimensions, both masculine and feminine, of socio-political participation in Russia, considering what kinds of gendered meanings are given to civic organizations and formal politics, and how femininity and masculinity are represented in this context. Exploring the role of state institutions in the development of democratic civic life, the volume shows how, under the increasingly authoritarian Putin regime and its policy of ‘managed democracy’, independent civic activism is both thriving yet at the same constrained. Based on extensive fieldwork research, it provides much needed information on how Russians themselves view these developments, both from the perspective of civic activists and the local authorities.